Fiscal Year 2019 Assessments In accordance with Massachusetts law FY 2019 assessments reflect value as of January 1, 2018 with new construction updated through June 30, 2018. To return to the Assessor's Website, click on the Assessor's Page link above. 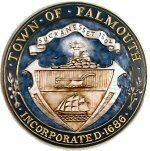 To return to the Main Falmouth website, click on the Town of Falmouth, MA link above.